The Stampin'Up Postcard Pals stamp set is so cute!!! I love the fun playful images. We have a variety of products to color the images in this set. You can use Stampin Blends, Water color Pencils, Stampin' Write markers or re-inkers with an aqupainter. 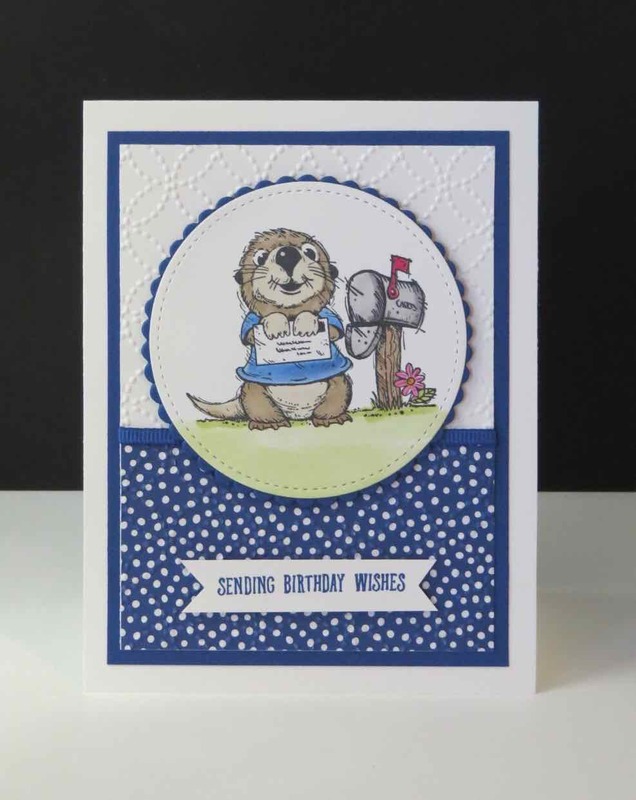 This beautiful card was designed by Lesley Poper.